We were honoured to witness the efforts of the Taiwan Ministry of Economic Affairs (MOEA)’s efforts in promoting several IoT related industry and talent development programs in Taiwan, including the official launch of Microsoft IoT Innovation Center in October last year. Presentation on enterprise IoT opportunities at Microsoft IoT Expo by my director Irza. Taiwan was recently ranked 10th in innovation and has one of the world's largest population of software and hardware engineers (they handle productions of parts for gadgets and equipment by global brands, e.g. Apple, Microsoft and electric carmaker Tesla). According to the National Development Council, the strength of Taiwanese IT/IoT companies lay in hardware and communications, which translates to internet services and sensors when it comes to IoT business opportunities. With a focus on enhancing innovation and entrepreneurship locally, the Asia Silicon Valley Development Agency (ASVDA) has come up with Asian Silicon Valley Development Plan (2016-2023) to increase Taiwan’s IoT global market share. USD 362 Million has been allocated for 2017 to improve the infrastructure, broadband, e-commerce, and develop talent in the space. Construct testbeds for innovation and smart applications throughout Taiwan (e.g. 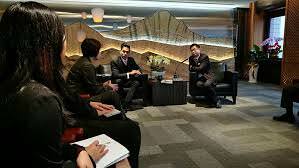 Smart energy in South Taiwan, tourism in East Taiwan, manufacturing in central. transportation in Keelung etc. 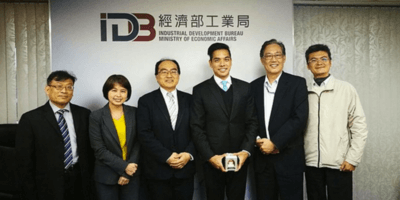 We had the pleasure of visiting the Industrial Development Bureau MOEA, ASVDA and Taiwan External Trade Development Council (TAITRA), Institute for Information Industry (III) to discuss on our collaboration efforts to help Taiwanese companies in the IoT/ICT space to expand their services in ASEAN region. One of the main concerns pointed out during our meetings was that solutions developed by Taiwanese vendors have always been focusing on clients’ requirements and are seen to lack creativity. Having companies to speak with our enterprise clients in the region could potentially shed some lights to their products development and business development strategies for the variety usage of IoT in businesses. There are a few trade missions coming up by TAITRA and III to bring Taiwanese firms to access the markets in ASEAN; drop me a note if you're interested to know more about the developments in specific markets (we've previously talked about observations across the industries in this article).